If you’ve ever used notary services to obtain a mortgage, draft a will, receive a structured settlement or for other transactions, you know the importance of the notary public’s role in executing the documents. A notary professional serves as an impartial witness in certain transactions to protect against fraud in the signing of critical paperwork and, as such, is an official of high integrity. The job is rewarding and will keep you busy, so check out what you need to do to become a notary public. Anyone who is over the age of 18 and does not have a criminal record may become a notary public. In addition, you must be a legal resident of the state where you’re seeking a notary commission in order to qualify to provide notary services. As part of the application process in your state, you’ll supply this information under oath, swearing as to the accuracy of the statements. As a practical matter, you should be fluent in reading and writing English to properly perform notary tasks, which involve communicating with the people who will be signing the documents. You’ll also need to arrange for your notary seal or stamp in order to officially certify a notarial act. Each state has different laws regulating notary public services, so you should check with your jurisdiction to find out exact requirements. In most states, you work with the Secretary of State’s Office to file your application, pay fees, receive your commission and handle renewals. Keeping a notary journal to track all transactions where you’ve provided notary services. Making sure that the people signing the documents know what the contents are before signing. 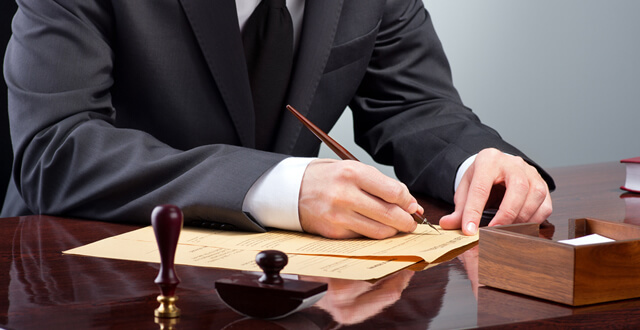 Situations where you may be called upon to provide notary services also vary by state law, but typically include conveyances of real estate, execution of will and estate planning documents, powers of attorney, structured settlement paperwork and some court documents. Plus, there are other transactions where parties may seek notary services, even if not required by law. Your role as a notary public is an important one, which is why there are general and state-specific requirements in order to be certified to provide notary services. Once you’ve obtained your notary public credentials, you can work for any one of a number of professional notary services to advance your fulfilling, satisfying career.